For now, just a short posting review of this, as I will be writing a more complete review soon for incorporation into a Small Things Considered piece on the topic of current tuberculosis vaccine research, addressing some of the science behind what this book addresses from a primarily historical perspective. While the author of this is a historian and the realm of history is the primary focus of this book, it obviously contains some medical and scientific details. But it should be easily accessible for any lay reader. As a microbiologist familiar more with the bacteria than the disease and its treatment history I found a lot in this that I hadn’t been aware of, particularly in the earlier periods when Tb was frequently thought to be more easily contracted by non-white groups of people, such as the American Indians. The book covers these early views steeped in racism and colonialism through the data that argued against such interpretations. It then covers the development of the Tb vaccine and consistent questions/uncertainties of its effectiveness. Finally the book covers the more modern – but at this point hardly new – threat of Tb infection in the face of HIV. 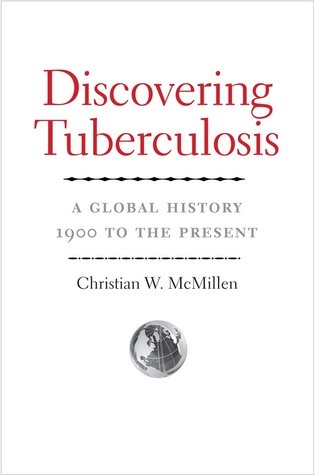 Throughout, McMillen addresses the question of why Tb continues to be a scourge despite a century of global health efforts. Overall McMillen provides a good historical coverage of the topic. At times I was annoyed at repetitiveness in the text, and I would have appreciated both more coverage of future prospects for Tb vaccines, and more of a scientific discussion of the issues behind this whole history in general. I would recommend this for a general audience with interest in history, medicine, and/or global humanitarian health efforts. I will post a link to what I write for Small Things Considered after its publication. Disclaimer: I received a free electronic copy of this from the publisher via NetGalley in exchange for an honest review.